If you’re searching for the perfect time out with your closest friends and family, then ULC has the solution you’ve been looking for! 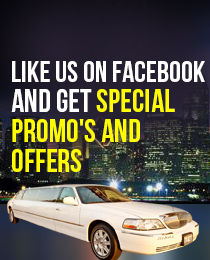 Treat yourself to the luxury and excitement of a stretch Hummer Limousine! 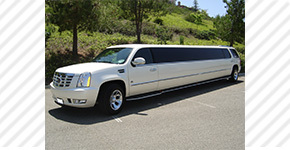 ULC offers the latest and greatest of the H2 series of Hummers, most commonly featured on the hit series American Idol. These larger than life SUVs have enough space for 22 passengers (20 adults, or 22 children or teens), and are built to ensure that all aboard have a comfortable, safe, and exciting journey to their destination. With fiber optic lighting, flat screen TVs, complete sound and stereo system, and plush leathers seats, the H2 Hummer is a vehicle that everyone can enjoy! Don’t’ settle for anything less than the best service, vehicle, and prices that you and your friends and family deserve! There are plenty of great places to check out while riding in an H2 Hummer, and no idea is a bad idea! Take a ride around town and visit any one of OC’s premier night clubs like Heat Ultra Lounge, Velvet Lounge, Mad T Party, and Sutra, where you can dance the night away and ride home the same night with your personally trained and professional designated driver chauffeurs. If you’re looking for a more appropriate family setting, then try an amusement park like Knott’s Berry Farm, Disneyland, California Adventure, or Adventure City! If you’re into sports, then grab 21 of your greatest pals and head over to the Honda Center and Angels Stadium and get your game on. In the OC, you’ll never have a lack of fun places to visit, like the Gettysburg Museum, Clubb 33, Medieval Times or Pirates Dinner Adventure, Crystal Cathedral, Santa Ana Zoo, Richard Nixon Library, or the Anaheim Convention Center! 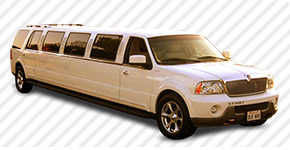 No whatever what the occasion is, whether it’s a birthday, wedding, bachelor or bachelorette party, Quinceanera, sporting event, clubbing, fun trip to Vegas or casinos, or just a night on the town, utilizing the advantages of traveling in an H2 Hummer Stretch SUV Limousine is sure to make your day one to remember! Use the H2 Hummer for even more special occasions, such as church functions, proms and school dances, winery tours, family reunions, company functions, and anything else you can think of! 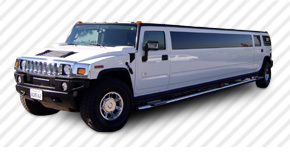 No occasion is too small for you to find use in taking an H2 Hummer limo wherever the fun and adventure are! The list of cities that we cover in the OC are: Aliso Viejo, Anaheim, Brea, Buena Park, Costa Mesa, Cypress, Dana Point, Fountain Valley, Fullerton, Garden Grove, Huntington Beach, Irvine, La Habra, La Palma, Laguna Beach, Laguna Hills, Laguna Niguel, Laguna Woods, Lake Forest, Los Alamitos, Mission Viejo, Newport Beach, Orange, Placentia, Rancho Santa Margarita, San Clemente, San Juan Capistrano, Santa Ana, Seal Beach, Stanton, Tustin, Villa Park, Westminster, and Yorba Linda.